Credit card debt is on the rise in 2018. It’s important to know what trends to look out for and how to handle them. 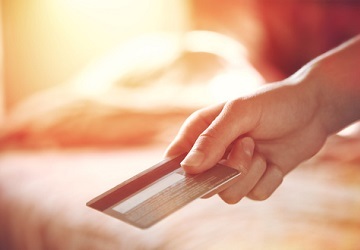 Credit cards can be a useful tool, but you have to be mindful of the debt you accumulate. 2018 saw a significant rise in credit card debt for most Americans. Last year Dentist’s Money Digest® highlighted some surprising credit card debt trends for the year based on an analysis from personal finance site WalletHub. For 2018 they found that outstanding credit card debt is at the second highest point since the 2008 recession. This is due to some unsettling trends that you might not realize you’re a part of. Here are three trends to be mindful of with specific tips for mitigating their effects. According to the latest findings, the average household’s credit card debt in 2018 is $8,332. While that is only a 4% increase from 2017, it is $129 away from being considered unsustainable debt. You can’t plan for every scenario, so it’s best to have money set aside for the “what if” scenarios. A safety net also makes sure you’ll never fall behind on your bills no matter the scenario. One way to stay ahead of your finances is to gradually save a year's worth of income, or more if you can afford it. You can do this by setting aside every other paycheck you get into a savings account. You can also force a savings account by contributing more to your 401k. Not only will you be set up better for retirement, but in an emergency you can borrow from your 401k. A charge off is when a debt cannot be collected in certain scenarios, such as bankruptcy or not paying your minimum payment after 180 days, and is not forgiven. It will stay on your credit report for 7 years and you can expect lenders to recoup their loss through a lawsuit. The charge-off rate comes from charge offs divided by average outstanding card balances. A rising charge-off rate is considered a sign for an economy under duress. In Q2 of 2018 the charge-off rate increased to 3.74%. This is not the 2010 high of 11%, but it is at the third highest point since 2012 and increasing. If you have multiple credit cards and they have outstanding balances, you have to prioritize which card to pay off first. Start with the card that has the highest interest rate. To do this make sure you pay just a little bit more than the minimum balance no matter what to avoid the interest rate. Set up an auto payment each month so you don’t forget to make a payment. You can also break up the payment into installments according to your budget goals. In Q1 of 2018 Americans repaid $40.6 billion in credit card debt. This was the second largest quarterly debt payoff ever. But in Q2 of 2018 we added $29.8 billion in credit card debt right back. This was after starting off the year owing more than $1 trillion in debt. As the WalletHub study points out, only four times in the past three decades have Americans overspent so much in a year. Making a budget boils down to determining how much money you have to spend on essential and non-essential items. WalletHub’s “how to” on budget plans is a mostly standard guide. The advice includes making goals, such as getting out of debt in 2 years or saving for a $1,500 vacation next summer. You’re also advised to pick a template to follow and itemize your expenses over time. However, what sets their advice apart is telling you to not only make the plan your own, but to update it. Your budget has to reflect your unique living situation and how it will change over time. Set aside time at the end of every month, or whatever time period you initially budget for, and review your financial plan. Find out what’s changed for you and how that affects paying off your debt. If you’re on track, great! If you’ve over spent in a month figure out how to bring that number down without resorting to living off the bare minimum.